As I head into the holiday season, I once again have a list of projects not yet finished –some not yet started! 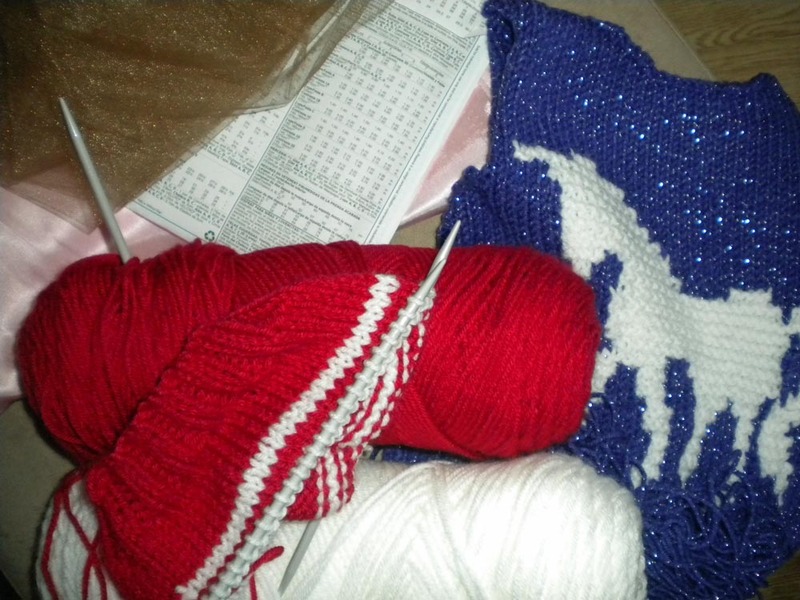 There’s the hat and mitten set for a grandson, a dress-up skirt for a granddaughter, and the “purple sweater vest with a unicorn” for her sister. I’ve thought of other things I could have made if I had started earlier, and things I wish I could figure out how to make. This is all part of my genetics. I remember my mother’s handmade gifts and how she set her mind to something and pushed forward until it was done. She’s still at it. Just the other day she was telling me about her latest idea and how she probably wasn’t going to finish it before Christmas. That’s my Mom. I’m determined, though, that I’m not going to stress about my unfinished projects. Those that need to get done, will. Those that don’t, won’t. I want to enjoy the process. Then I read the latest post on Love Those Hands at Home. Kerry writes about making something because it pleases us, and how that wisdom has guided her endeavors. Her point is that we can make something or embellish something simply because it pleases us. Her words hit a chord with me, especially at this time of year. I learned from both my parents, hard-working farm people, that handmade gifts are worth the extra effort. As far back as I can remember, there was always some project to finish by Christmas. There were embroidered shirts, handmade baskets, wooden play sets. And then there were the cookies–Mom spent hours in the kitchen making a variety of holiday treats because she loves to bake and she loves to share what she bakes. But that’s the key–enjoying what you are making. So even though I still have to finish some gifts, I’m looking forward to working on them. And that makes the projects worthwhile. What projects are you working on? What do you enjoy making?